Tossa de mar gives you the inspiration you need to break through the daily grind! Everyone has the need to take a moment for yourself, your family and friends. At the end, you’re not a machine! There isn’t a better place to stay then Tossa de Mar to find relaxation and where you can discovor plenty of things! Tossa de Mar is the preferred holiday destination. From your holiday home you’ll be in no time in free nature and you can make all sorts of interesting cultural and historical excursions. 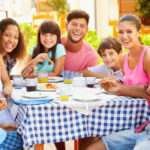 As you don’t have a timetable for diner or what so ever, any time you can go to one of the magnificent cities nearby, such as Girona and Barcelona. 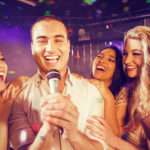 Or, you can go to the populare lively town next door, Lloret de Mar. 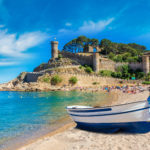 It’s obviously there are more ingredients for a relaxing and inspiring holiday in Tossa de Mar. To find out what are Tossa de Mar’s inspiring secrets, we already give you the TOP 10 of Tossa de Mar. 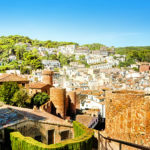 If Tossa de Mar is your holiday destination, you must not miss the “Vila Vella” and its castle, a favourite of most of the visitors to the Costa Brava. In 1931, the old “Vila Vella” was declared a National Artistic and Historical Monument. 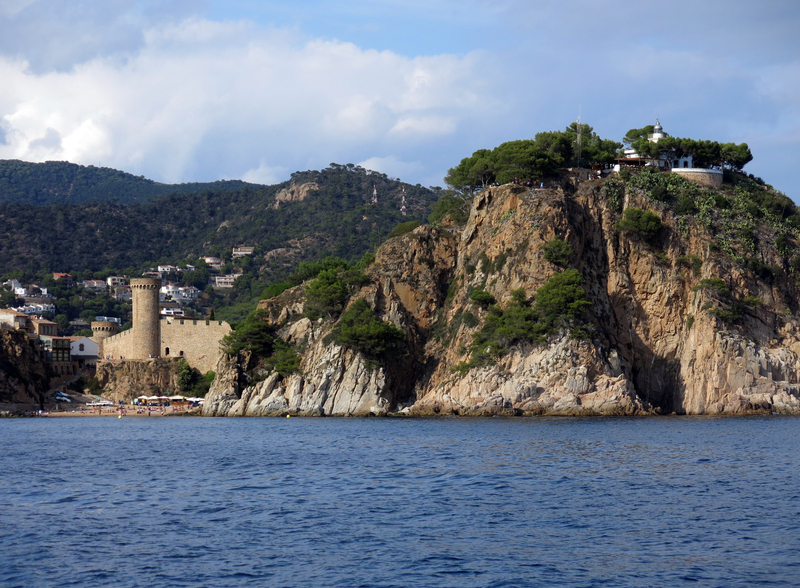 The walls of the castle of Tossa are the only examples of a medieval fortified city on the Costa Brava. The beauty of its beaches and its artistic and cultural heritage have made Tossa a place not to be missed. The “Vila Vella” and its castle represent the oldest part of Tossa de Mar. 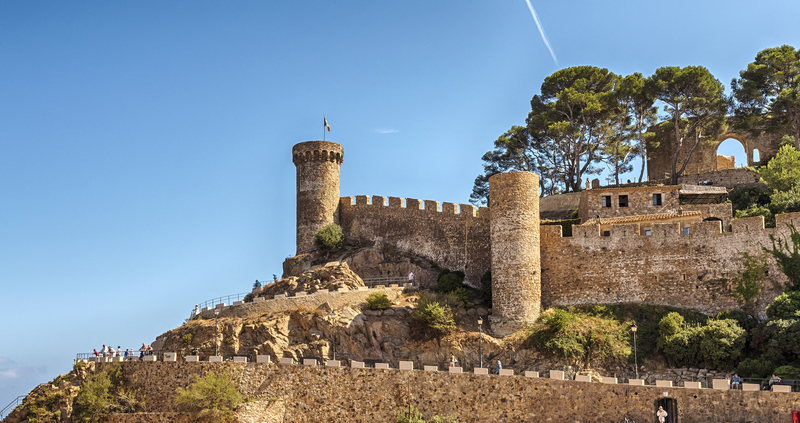 It is one of the most important medieval walls on the Costa Brava, where there are spectacular defence towers which protect the centre of the town. Within the walls and in the seven towers, there are countless cultural and historic treasures to be discovered. If the first point tempts you, this one will interest you as well. The “Torre dels Moros” or the “Torre can Magí” is an extension of the walls of “Vila Vella” and the fortification which surrounds Tossa de Mar. 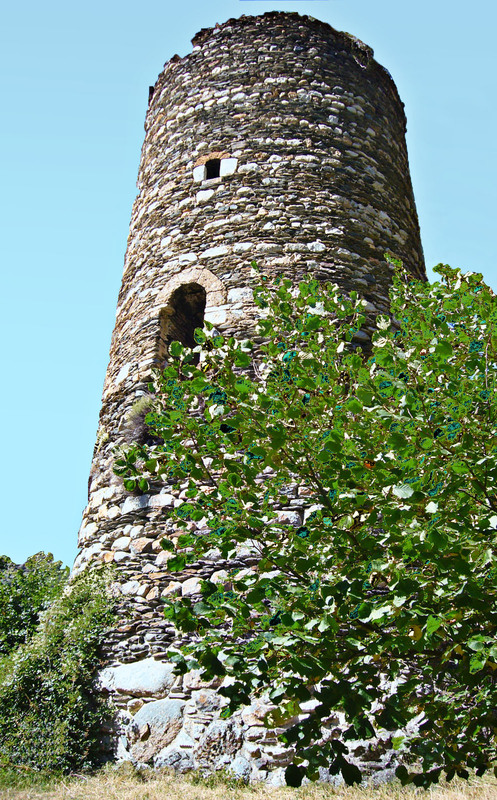 This watchtower was built by Philippe II in 15th century on the top of the hill to protect the population from the attacks and incursions of pirates from North Africa. 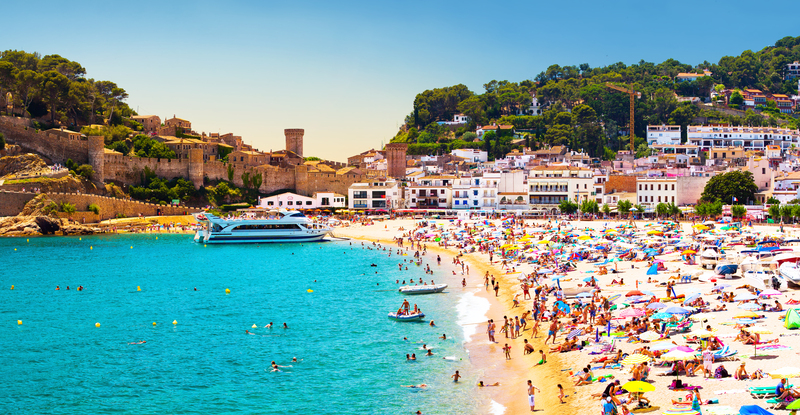 Did you know that in Tossa de Mar you can travel through 5000 years of history without visiting any museum? You can discover the history of Tossa just by walking, because there are plenty of trails and footpaths on the outskirts of the town, by which you can reach places with fantastic views of the Mediterranean Sea, of the Pyrenees and the hidden bays. Along these routes, you can come across many thousand- year-old dolmens, some menhirs, and caves hidden in the forest. Tossa de Mar is surrounded by a magnificent landscape. Because of its location, it is a perfect point to start many walking tours with different levels of difficulty. You can go on foot via a coastal route “camí de ronda” from Tossa de Mar to Sant Feliu de Guíxols, or you can walk along footpaths through the countryside. There are plenty of alternative routes from the main GR-92 road, for example, to get from Tossa de Mar to Lloret de Mar. Are you sick of always buying the same kind of souvenirs for the relatives who could not go on holiday with you? If you are looking for an original gift which is an interesting souvenir from Tossa de Mar, we recommend that you go to the jewellery shop “Tim and Kat”. There you will find extraordinary and unique jewellery, the ideal gift. There are bracelets, necklaces and rings, all a bit different from those you can find in the typical tourist shops. Tim and Kat are two Belgian jewellers who came to Tossa de Mar to show their collection. 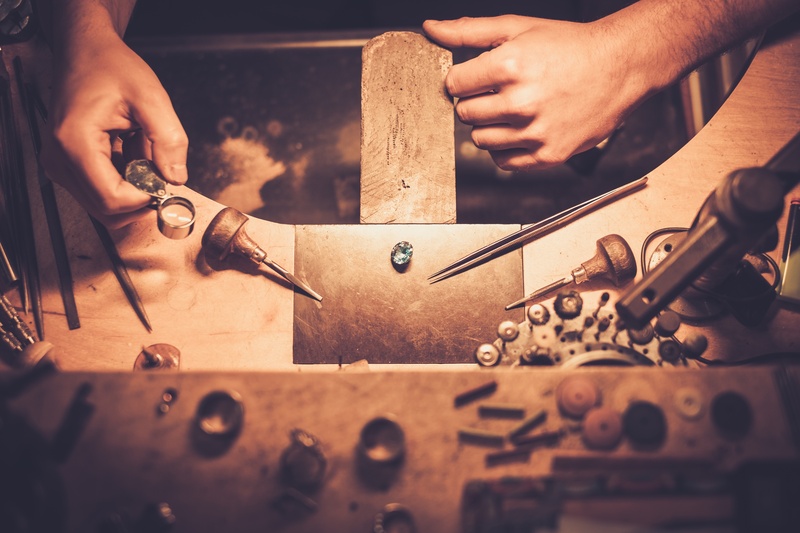 Their love of nature and the beauty of the area surrounding Tossa de Mar are reflected in their handmade jewellery. Everybody will like this souvenir! Do you fancy discovering Tossa de Mar in a different way? Catch the little train and do the tour of Tossa de Mar! It is great fun to travel on this little train with your family or a group of friends. 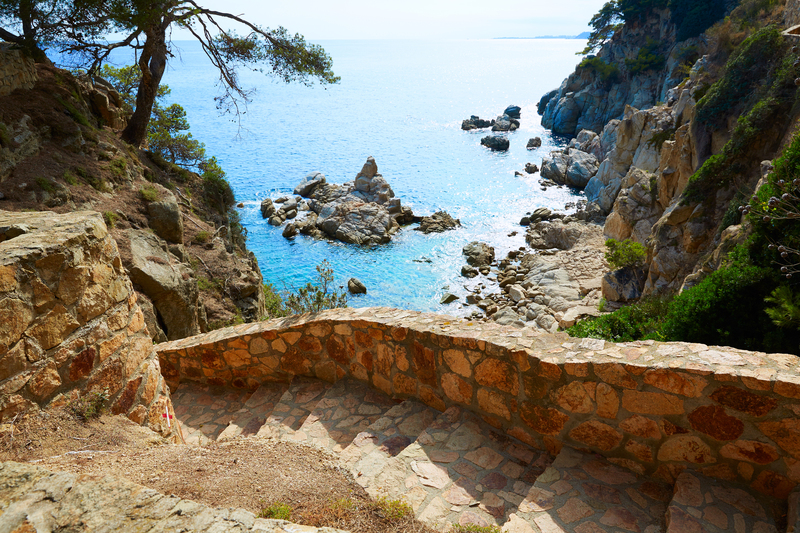 Moreover, you will have the opportunity to see the best sights of Tossa de Mar without walking! The “Dico train” is a little tourist train which takes you from the promenade of the main beach of Tossa de Mar “Platja Gran” to the “Far of Tossa” (lighthouse) in summer time. 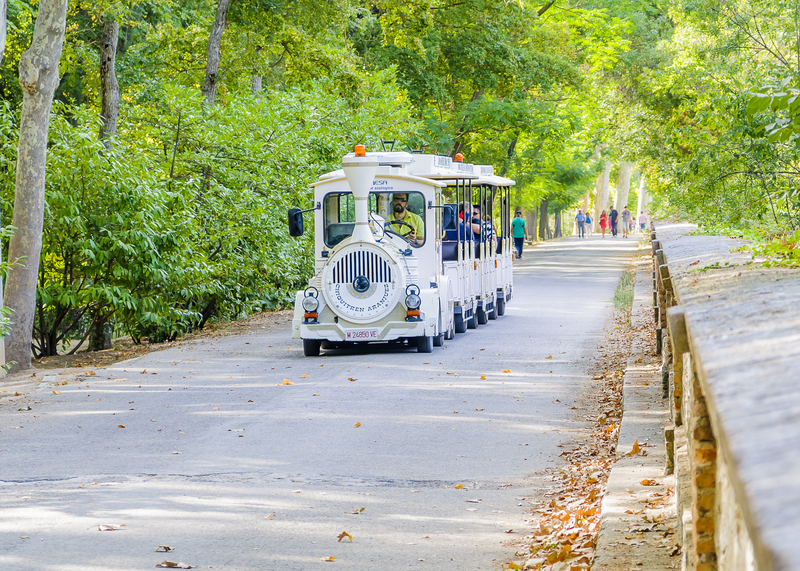 There is also the “Carrilet Turistic”, another little tourist train which starts from the promenade of the “Platja Gran” too, and takes you on a 25 minute tour to the most interesting places in Tossa de Mar. After the castle, this is very symbolic of Tossa,. It really deserves a visit! This lighthouse dating from 1917, lies on the highest point of Tossa de Mar, on the cliffs 70 metres above the sea. You can reach the lighthouse by walking along the promenade of “Vila Vella” by the beach, and you will come across the ruins of the ancient church of Sant Vicenç. By foot or by train it is a fantastic tour. Inside the lighthouse, there is a museum where you will discover the milestones of maritime history through short films and interesting displays. You will also be able to get the most out of the magnificent views. If you do go up to the lighthouse, you will enjoy a delightful view, which takes your breath away. You will be able to refresh yourself with something to eat or drink here. In the summer, it is sunny and hot every day. So, enjoying a refreshing breeze on the sea could be a great idea. In Tossa de Mar there are different types of boats you can take and plenty of excursions you can choose! 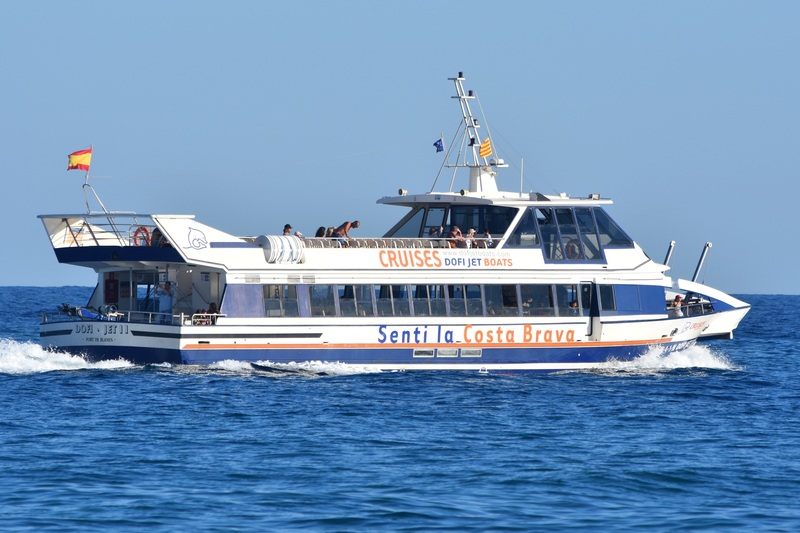 For example, you can get into the “magic vision”; this boat sails by Tossa de Mar, Sant Feliu and Platja d´Aro; there you can get all the information you need to get to know the magnificent Costa Brava. 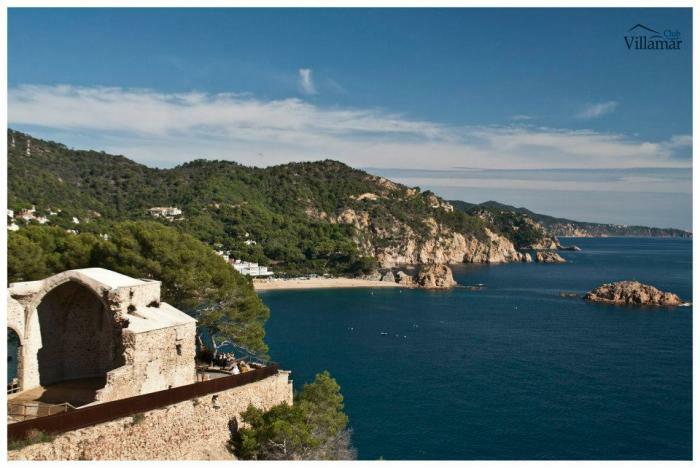 If you feel like relaxing, you will be able to sunbathe on the boat and admire the fantastic views of the Costa Brava. Obviously, you will also have the opportunity of visiting towns on the Costa Maresme like Santa Susana, Calella or Arenys de Mar. There is another kind of boat that you can enjoy: the glass-bottomed boat, to discover the under-water paradise! If you fancy a closer look at the underwater life, there are a lot of scuba-dining centres in Tossa de Mar. You will be able to enjoy the best spots to dive. A gift for scuba-divers. Let your imagination travel through the history of this treasure. 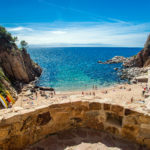 “Els Ametllers” lies in a raised corner in the bay of Tossa de Mar, and there, near the centre of the town, you will have the opportunity of visiting one of the best preserved towns of the ancient Roman province of Tarraco. It is one of the most interesting and important Roman towns of the Catalan coast and it is still being excavated. Thanks to the archaeological works, we know that this town was inhabited between the 2nd century B.C. and the 4th century A.D. The enclosure lies in a large area in the “Turo de Sant Magí”. It is divided into different terraces; the bottom one houses the rustic part and above is the urban zone. 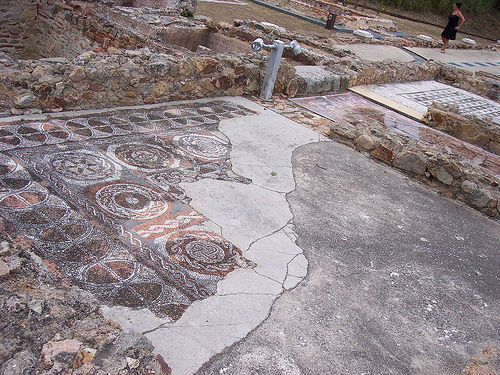 This area contains the vestiges of a thermal enclosure, a hypocaust, and some rooms covered with mosaics. Between them there is one dating from the 4th century B.C. called “Vitalis”, probably the name of the owner of the house. Come and experience the atmosphere of the fishing quarter of Tossa de Mar and visit “Sa Roqueta”. It is located just outside the medieval enclosure of “Villa Vella”, in front of the commercial centre of Tossa, bordered by two streets, Portal and Estolt. It is a typicalfishing village, built during the first growth of the town during the 16th century. Moreover, you will find plenty of good restaurants where you can enjoy fruits of the sea and fresh fish. A real taste treat!. Now, time to go shopping! After so many visits, you will certainly fancy going shopping. 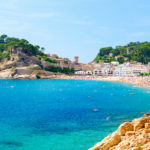 In spite of the fact that Tossa de Mar is an historic small fishing town, you will find plenty of good items because there are a lot of shops. A good day’s shopping is waiting for you in the streets of Socors, La Guardia, Pou de la Vila, Avinguda de la Costa Brava, Avinguda Ferrn Agulló and Plaça d´Espanya where you will find nice shops with trendy clothes, simple clothes, shoe shops, bag shops, and small boutiques of souvenirs and much more! Surprise! There’s so much more to discover about Tossa de Mar and the magnificent area around this former fishing village. That’s why we are glad to take you to more smoothy Tossa de Mar details, because we like to help you to get that feel-good-holiday. Choose easily and quickly your favourite holiday home and before you know it you go on holiday! Spread your holiday wings with more happiness. The only thing you do: choose your cheery minimum wishes to have a great holiday. Yes, it’s simple like that. You pick your wishes and the genie in the search engine refines your search results.